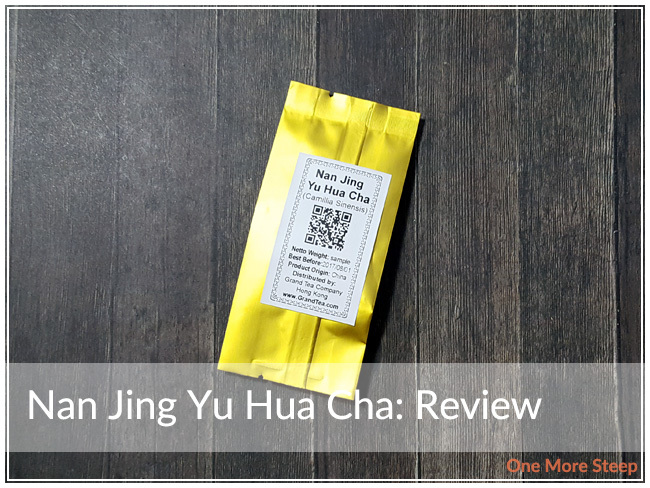 Grand Tea has provided me with Nan Jing Yu Hua Cha for the purposes of providing an honest review. I received this product at no charge to me and received no other compensation. Nan Jing Yu Hua Cha is a tea from the city of Nan Jing (also angelcized as Nanking), in the Jiangsu provice. Yu Hua Cha translates to Rain Flower Tea. The tea itself have a thin needle appearance, and you can see the downy feathers on these tea leaves – it’s so pretty! There’s a very subtle sweet smell to tea leaves, it’s light and floral. There’s a beautiful colour to the tea leaves, it’s nice. 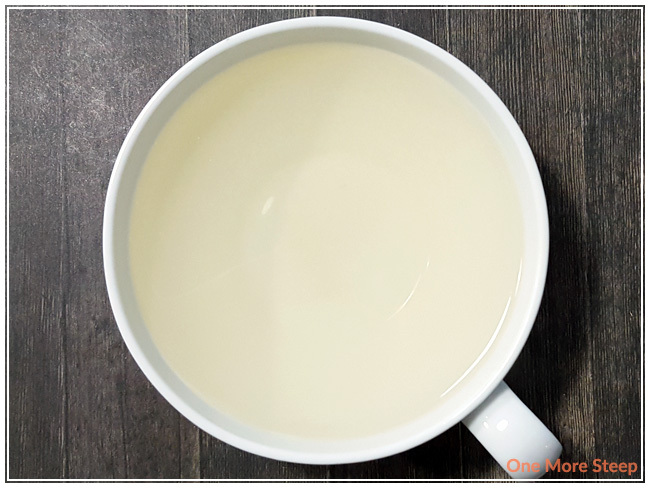 According to Grand Tea’s product page for Nan Jing Yu Hua Cha, this tea was first produced in 1958, which makes it fairly young in the grand scheme of things with tea’s rich history in China. Grand Tea recommends steeping Nan Jing Yu Hua Cha in 70-80°C (158-176°F) water for 1 minute. I steeped it in 80°C/175°F for 1 minute. Nan Jing Yu Hua Cha Steeps to a pale green-yellow, it’s very clear. The smell of the tea is slightly salty, and when I tasted it I found that sweet floral that I noticed in the dry leaf. The sweet and salty combination is light, the salty doesn’t overpower the sweet. The light floral taste is nice – the general balance of the sweet, salty, and floral, makes is a very refreshing tea. 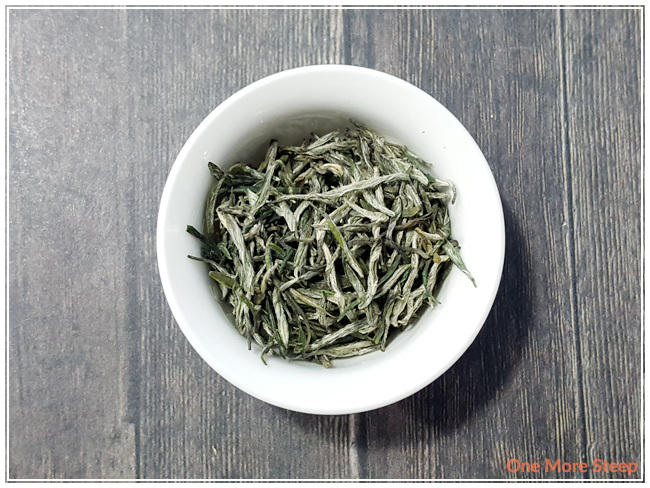 As a straight green tea, I wanted to see how Nan Jing Yu Hua Cha would do with resteeping. I resteeped it six times (adding an extra 30 seconds per resteep). I found that the flavours became stronger and floral flavours were strongest for the third steep. 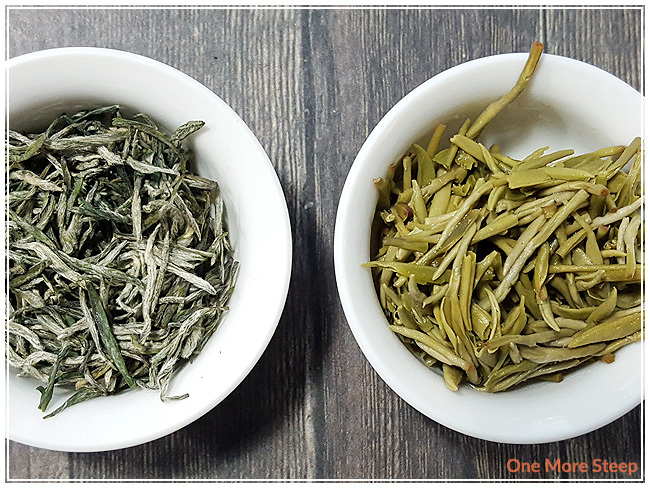 The fourth and fifth resteep had similar flavours to earlier steeps, the sixth resteep was the lowest in flavour so I would recommend resteep Nan Jing Yu Hua Cha up to five times. I loved Grand Tea’s Nan Jing Yu Hua Cha. The salty-sweet floral taste of this tea is really quite nice. I love that it holds up to resteeping so well – six steeps total! I almost feel like the tea could be renamed ocean rainflower and it’d be more accurate, since there’s the salty quality to it. The refreshing flavours of this tea are nice to enjoy, and I’d definitely recommend steeping this one again and again. Because it’s so light, it’d go well with sweets or savouries.